It has been a long day. Jerusalem is packed with Passover guests, most of whom clamor for a glimpse of the Teacher. The spring sun is warm. The streets are dry. And the disciples are a long way from home. A splash of cool water would be refreshing. The disciples enter the room, one by one, and take their places around the table. On the wall hangs a towel, and on the floor sit a pitcher and a basin. Any one of the disciples could volunteer for the job, but not one does. After a few moments Jesus stands and removes His outer garment. He wraps a servant’s girdle around His waist, takes up the basin, and kneels before one of the disciples. He unlaces a sandal and gently lifts the foot, places it in the basin, covers it with water, and begins to bathe it. One grimy foot after another, Jesus works His way down the row. In Jesus’ day the washing of feet was a task reserved not just for servants but for the lowest of servants. In this case the One with the towel and basin is the King of the universe. Hands that shaped the stars now wash away filth. Fingers that formed mountains now massage toes. And the One before whom all nations will one day kneel now kneels before His disciples. Hours before His own death, Jesus’ concern is singular. 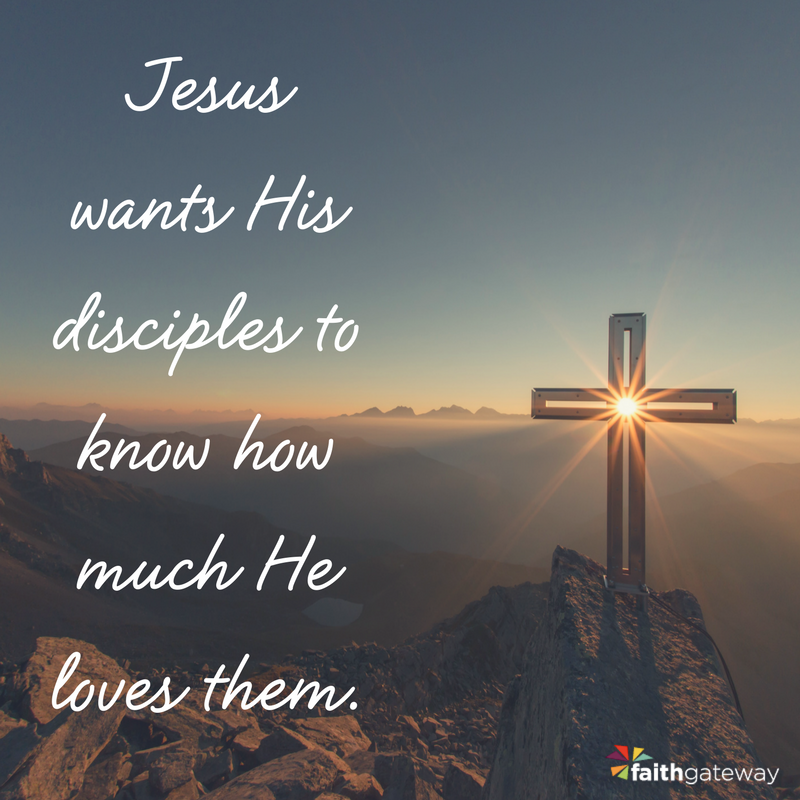 He wants His disciples to know how much He loves them. You can be sure Jesus knows the future of these feet He is washing. These feet will dash for cover at the flash of a Roman sword. Only one pair of feet won’t abandon Him in the Garden… Judas will abandon Jesus that very night at the table. What a passionate moment when Jesus silently lifts the feet of His betrayer and washes them in the basin. He forgave their sin before they even committed it. He offered mercy before they even sought it. King of the universe, I’d like to think I would have washed Your feet and done better than the other disciples, but I know that’s not true. Thank You for loving me and washing my feet and offering me mercy when I deserve none. In Jesus’ name, amen. Excerpted with permission from On Calvary’s Hill by Max Lucado, copyright Max Lucado.